Punta Fuego’s newest enclave, Terrazas is situated within a two-hour drive from Manila. Conveniently located in Nasugbu, Batangas via Tagaytay-Nasugbu Tourism Highway, it is the closest clean water beach destination south of Manila, 10 minutes away from Peninsula de Punta Fuego and 30 minutes away from Tagaytay City. It boasts of 800 meters of fine white sand and pristine clear waters making this the best swimming beach in Nasugbu, Batangas. A four storey house right inside Terrasaz De Punta Fuego facing South China Sea and Fortune Island with 2 garages, Solar, jacuzzi, library, sauna, steam, and karaoke area with bar . In a 600 sqm lot is this 4-storey single detached house with overlooking view of West Philippine Sea. The entrance door is facing East while all bedrooms are carpeted and face West with sea view except for the family room. An associate membership to the prestigious Club Punta Fuego comes with the purchase of this house, enabling the buyer to use the Golf Course, Marina, The Beach Clubs within Punta Fuego developments. 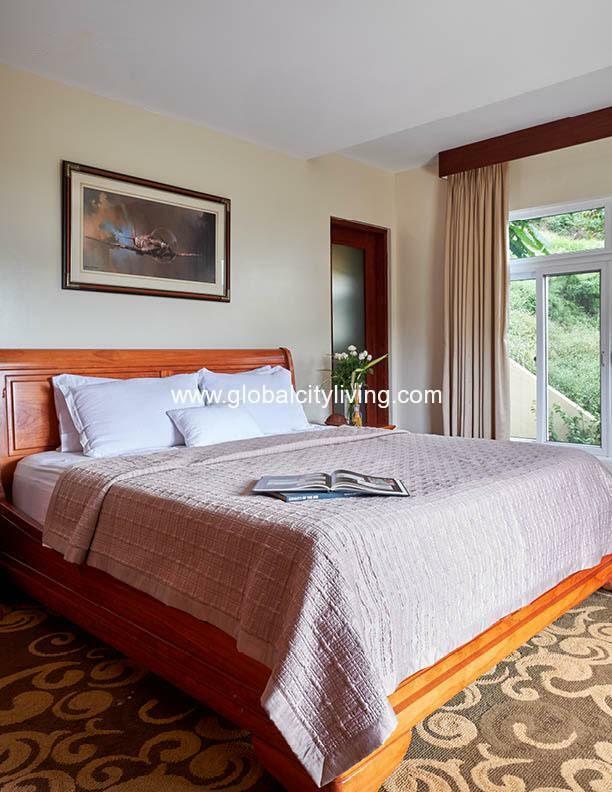 Top level comprises of 2 large single garages, battery and inverter room for the solar panels, main entry and the master bedroom with walk-in robe and ensuite with a large balcony overlooking West Philippine Sea. The floor is narra parquetry and all doors are solid mahogany. The next level is the main living area. It has the kitchen, dining, and lounge areas as well as a TV room. There is also the family room with ensuite, a large storage room and laundry and a dirty kitchen. The lounge and dining area have large sliding windows opening onto a large balcony overlooking West Philippine Sea. The floor is narra parquetry except in the family and utility rooms, which are tiled and all doors are solid mahogany. There is LED strip feature lighting in the lounge and dining areas. This level is tiled and the pool surround is exposed aggregate concrete. There is a fiber optic feature light above the bar. There is also a separate gazebo for the built in BBQ complete with sink in a granite bench. The bottom level has a bar and undercroft area for outdoor entertaining, a toilet, a sauna, and separate steam is an infinity pool with jacuzzi and water feature. Turnkey property with consistent income from AIRBNB!